“It Just Looks Different”. – These 4 little words can greatly impact and change your life. It just looks different for you and for me. These are some of the sweetest words ever spoken. These 4 words can help you let go of self-doubt. 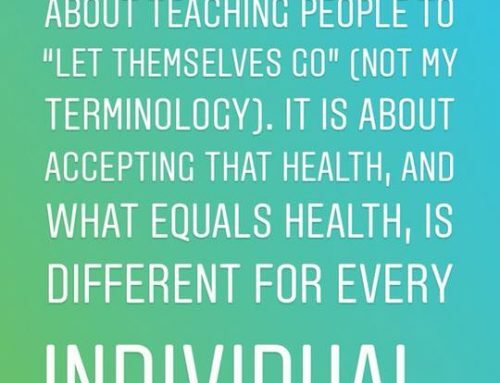 “It just looks different” can help you stop comparing yourself to others. 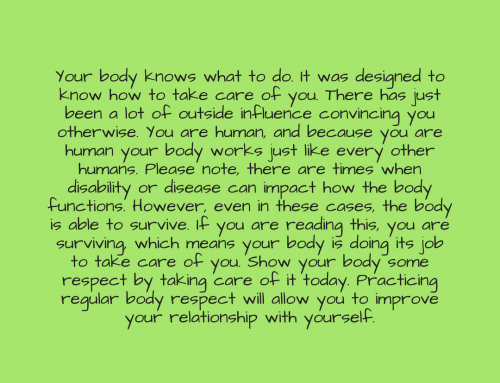 “It just looks different” gives you permission to love yourself exactly where you are in life! 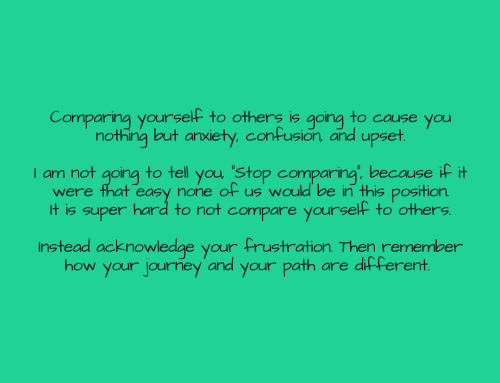 Comparison and comparing yourself to others is harmful. Comparison keeps you from experiencing happiness. Comparison only decreases self esteem and can hold you back. I want you to learn to love yourself for exactly who you are and exactly where you are in life. When you can stop comparing yourself to others you can start living life and start experiencing happiness and peace. Comparison can be a thief of joy. Comparison causes you to evaluate and judge yourself and your situation. You evaluate your feelings and situation and look at others around you. You do not see their pain. You only see what they want you to see. Most people do not show their pain, their struggle, and their hurt in public. You start to question yourself and your feelings and feel ashamed that you feel pain. You feel that others can see right through you. You fear your hurts and struggles are visible to the world. You may be thinking you are flawed and others see that. You probably feel frustrated and overwhelmed that you cannot experience happiness and feel shame there is something wrong with you. This thinking sends you down a spiral of self-doubt, self-blame, shame, sadness, and anger. I believe that what you think drives your behavior. When you think “I am damaged” or “I am crazy” or “I am flawed” you not only feel bad you act like you are damaged, crazy, and flawed. You start to look for evidence to support this thinking. You evaluate your life and the things that have happened to you. You evaluate your success in life based on the choices you have made and the things you have endured. When you compare yourself to others you look at what you do not have, what you are not, and you see your imperfections. But remember, “it just looks different.” You are not seeing others pain, others experiences, or others failures. It just looks different because you are not that person. Thank goodness! You are uniquely you. Your genes are different Your life experience is different. What you know, like, and love is different. And that is wonderfully, perfectly OK! It just looks different because that person has traveled a different journey then you. And you don’t know the obstacles that person had during their journey. It just looks different because you don’t know others struggles. You only see their best. You only see the thing they have that you don’t. You forget that person is not perfect and they had struggles, they may be struggling, and they will have struggles in the future. It just looks different because you have your own talents, skills, and knowledge. Someone else sees that thing that you have and they want it! Continue to look up to someone, continue to seek what you are looking for and continue to strive for more. But don’t let comparison to others keep you from being your most fabulous you! When working toward a goal and feeling frustrated take a moment to think about what thoughts are floating through your mind. Comparison sounds like, “I am not as good as (insert name)”, “if only I could be more like” (insert name), or “(insert name) is so lucky because they have (insert that thing you want)”. Remember It Just Looks Different. Save that saying somewhere. Write it down. Keep it in your pocket and pull it out whenever you feel not good enough. Because it is different you are enough exactly where you are right now.